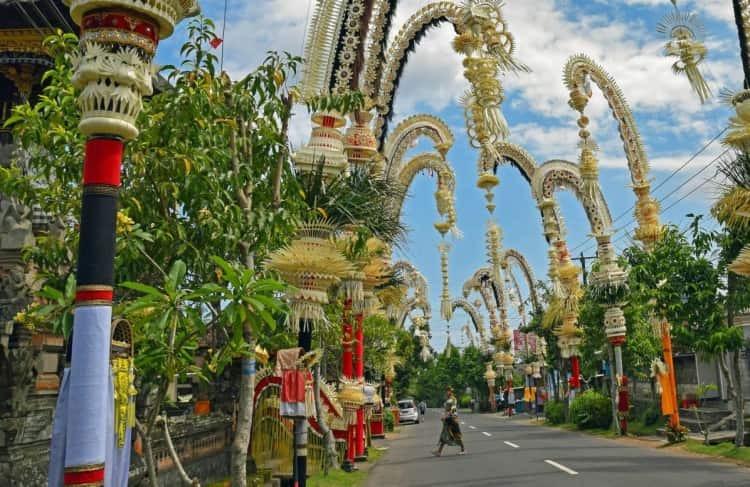 When it comes to Balinese culture and exploring the Island of God, Mul is the expert. Meet, Mul, Head Butler at The Pavilions Bali for 17 years, and learn about some of his best kept secrets on how to experience the authentic Bali. What is a typically work day like? Butlers help our guests make their trip special and most of all, worry free! We handle details like their in-villa breakfast orders, recommendations for the best experiences in the area, and just about any request. What inspired you to create the “Off the Beaten Track Bali Tour”? A couple of years back, I had picked up guests from the airport and they asked me for tips on where to go to experience “the real Bali”. I immediately responded with “I’ll surprise you, leave it to me.” I took them my favorite places in Bali, including Beratan Lake, which is not a known tourist spot, and the guests absolutely loved it. From that moment, this “Off the Beaten Track Tour” became our signature tour and has evolved with lots of hidden gems. Can you please share your top Travel Tips for Bali? 1. See the volcano Kintamani, in northern Bali. People tend to visit the well known Mont Batur, but actually Kintamani is as impressive and also less crowded. 2. Ubud! The stunning green rice paddies and the healing & creative vibes of this area make it a must-visit. If there was one thing in Bali I shouldn’t miss, what would you recommend? Without a doubt, its Jatiluwih Village – with a must-see natural panorama of green rice fields. The cool highlands and the breathtaking scenery of this village just at the foot of Mount Batukaru, makes for wonderful photo opportunities. What advice would you give someone planning his or her first trip to Bali? Visit Bali in July and August, when the weather is clear and sunny. It’s also when there are many traditional Hindu ceremonies happening which are well worth experiencing. What is your #1 suggestion for a bit of romance? Plan on going to the Uluwatu Temple at sunset to watch the authentic traditional dance of Ramayana. The story is about the eternal love between Rama and Shita, the mythical Hindu gods. What do you hope your guests take away from your tour? Unforgettable & authentic memories! Hopefully they will love Bali as much as we do and will want to come back and visit again. What is the most memorable experience with a guest on a tour? Its always great when our guests interact with locals, and the most memorable time was when a guest was trying to talk with some local farmers. Although language was a barrier, we laughed together just the same, as our common language was nature and the beauty of simple village life. Are there places in Bali that you haven’t visited yet but would like to explore? I’ve seen a lot of places in Bali, but I am constantly keep my eyes open for new hidden gems! The honeymoon is the perfect compliment to your special day. 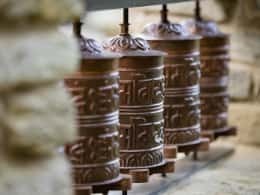 But for couples that crave a little adrenaline alongside a healthy dose of romance, it’s worth finding an adventurous honeymoon destination that can satiate your desire for thrills. 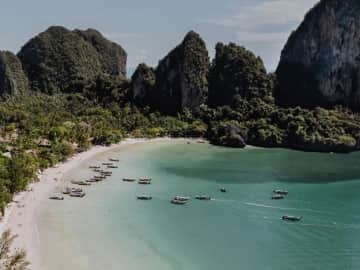 From journeying off the beaten path to traditional locales offering post-nuptial bliss, we take a look at three of the best honeymoon destinations in Asia for adventure-seeking couples – because there’s more to a honeymoon than just a resort getaway. Chef Rey is the Culinary Director at The Pavilions Phuket. From humble beginnings in New Zealand, his pursuit of all things gastronomic led him on a round-the-world career, from honing his craft from Australia and Abu Dhabi to Vietnam and Malaysia. 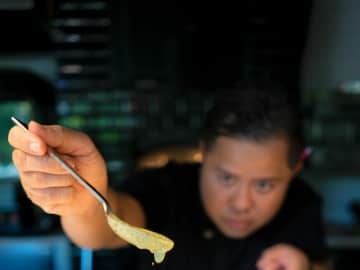 In this interview, Chef Rey shares his food philosophy, favourite food gadgets and best and worst food-related experiences.